PM Press - Happy Birthday, Abdullah Ocalan! While most of us refer to their own birth with a certain date, referring to the day of their physical birth, Abdullah Öcalan has frequently mentioned that he was born three times. The third birth — after his physical birth and the founding of the organization he is best known for, the Kurdistan Workers’ Party or PKK — is his paradigm shift towards his concept of “democratic civilization”. This rebirth was also, in many different ways, a rebirth for the Kurdish society. On April 4, 2019, Öcalan "celebrates" his 70th birthday. That is — if we can talk about a celebration at all. He has been in solitary confinement for more than twenty years now. Since 2011, he has not had a consultation with a lawyer; since April 2015, apart from two brief visits from his brother, he has seen no-one from outside ofthe island prison. 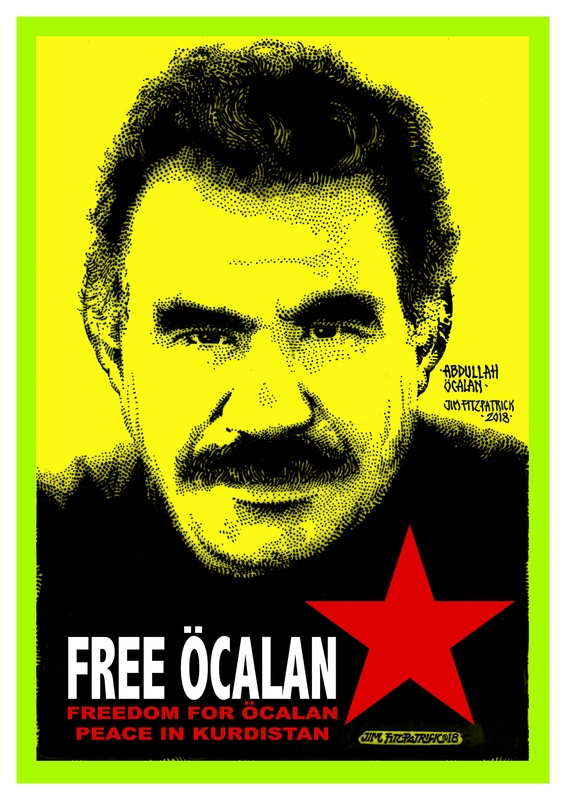 Right now, more than 7,000 persons are on hunger strike with the plain and simple demand: to lift Öcalan’s isolation.